There’s a good reason why kids are taught to eat slowly and to chew their food carefully. Aside from the fact that it’s good manners, it’s a safety precaution as well. There’s always the danger of choking when food is not chewed properly. The website further adds that 5-year-old kids are at most risk of choking. Kids at this age have the tendency to put things in their mouth that can cause them to choke. Aside from toys and small household items, food is one of the most common things that kids choke on. Unfortunately, the most common foods that your kids love to eat are choking hazards. There are 10 frequently eaten foods that can potentially choke your kids. It’s important that you know what these foods are. Here are the top ten frequently eaten foods that can choke your kids. 10. Hot Dogs – 2.6% of food choking ER visits. Hot dogs are the same shape as a child’s airway and a usual suspect to be blamed for choking. Even if you cut it in a coin, it’s still the same shape as your child’s throat. What is crunchy at first but becomes a gooey, doughy mess? Well, Cookie Monster never choked on them but kids have choked on cookies. 9. 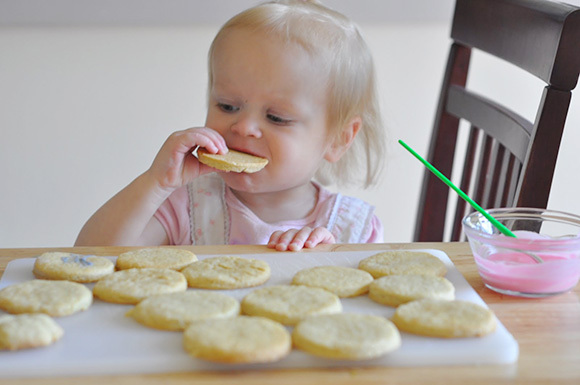 Cookies, crackers, or biscuits – 3.1% of food choking ER visits. Pile in a handful of them, or biscuits, or cookies, and you’ll end up with a gooey, doughy mess that can cause problems. We eat them in movie houses and never thought they can be dangerous to little kids. Just beware of the hazards that these crunchy and yummy snacks can cause to little children. 8. Chips, pretzels, or popcorn – 4.6% of food choking ER visits. These are rigid items that kids can have difficulty chewing properly. We often get them from convenience stores and snack on them. See what these could be on the next page.